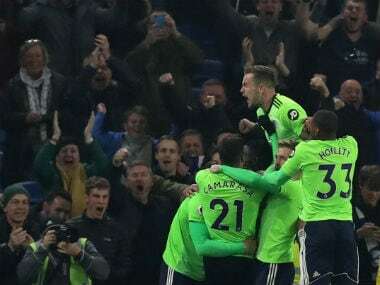 London: Sunderland were relegated to England's third tier for the first time in 30 years on Saturday as the Championship's bottom club lost 2-1 to fellow strugglers Burton. Chris Coleman's side have crashed into League One only a year after being relegated from the Premier League. 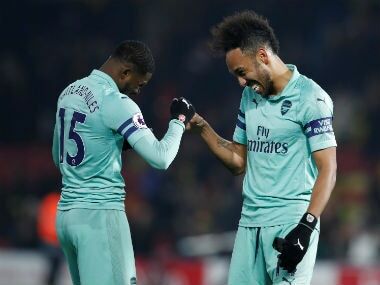 They have played only one season outside the top two tiers of English football in their entire history, winning promotion from the old Third Division in 1987-88. Burton striker Darren Bent returned to haunt his former team with an 86th-minute equaliser to cancel out Paddy McNair's opener on 34 minutes at the Stadium of Light. 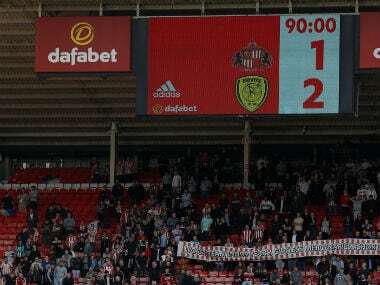 Liam Boyce headed second-bottom Burton in front in second half stoppage-time before Sunderland had a late equaliser disallowed to provide a fitting finale to their wretched season. Sunderland are six points from safety with only two matches left and the remaining fixtures of their relegation rivals make it mathematically impossible to avoid the drop. Coleman, who took over from Simon Grayson in November, said: "Firstly I would like to apologise to everyone for coming up short, ultimately not having what was needed. "It's a brutal experience and the disappointment is huge. 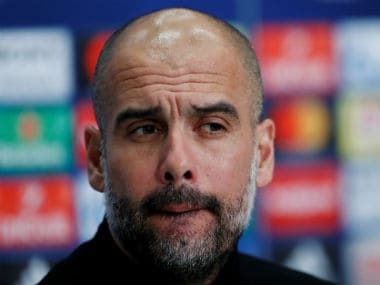 Forty-four games we are into the season and we haven't been good enough. "I don't know where this club goes. We have not been told what's what. I don't know what the plan is. "Right now it's very raw, it's just happened. It's brutally painful. "I have been here two minutes, the supporters have been here for years I can only imagine how they are feeling." Promoted Wolves celebrated their ascent to the Premier League by clinching the Championship title with a 4-0 win at lowly Bolton. Needing one point from their final three matches to be crowned champions, Wolves got the job done thanks to goals from Barry Douglas, Benik Afobe and Diogo Jota plus a Conor Coady penalty. Wolves are two points shy of 100 for the season with games against Sheffield Wednesday and Sunderland still to come. Lewis Grabban netted twice as Aston Villa kept their slim automatic promotion hopes alive with a 4-0 victory at 10-man Ipswich. Conor Hourihane and Henri Lansbury were also on target at Portman Road, where Ipswich midfielder Grant Ward was shown a red card for a rash tackle in the 42nd minute. Goals in either half from Mo Besic and Britt Assombalonga ensured Middlesbrough beat play-off rivals Derby 2-1 and consolidated their place in the top six. David Nugent converted a last-minute penalty for Derby, who are one point off sixth-placed Millwall. Brentford are level on points with Derby following a 2-1 win over west London rivals QPR at Griffin Park. Bristol City let a 4-2 lead slip as they drew 5-5 with Hull, while Preston were held to a 0-0 draw by Norwich. Birmingham came from behind to boost their survival hopes with a 2-1 victory over Sheffield United and Sheffield Wednesday beat Reading 3-0. Third-bottom Barnsley remain in the relegation zone after losing 2-1 at a Leeds side managed by their former manager Paul Heckingbottom.